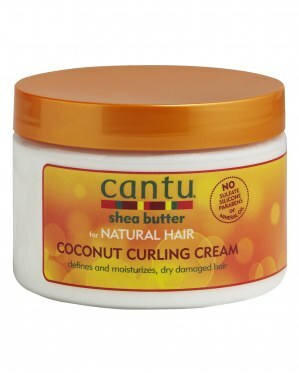 Cantu for Natural Hair Coconut Curling Cream helps to heal dry, damaged hair while providing intense moisture and strength. Made with 100% pure Shea butter and formulated without chemicals or harsh ingredients, Cantu for Natural Hair restores your real, authentic beauty. 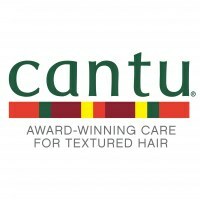 Winner of the 2013 Naturally Curly Best of the Best award, Cantu for Natural Hair Coconut Curling Cream will define, condition, and add manageability to your curls, leaving them soft, shiny, and deeply moisturised. An ultra-nourishing formula that’s perfect for re-moisturising dry curls. Free from mineral oil, sulfates, parabens, silicone, phthalates, gluten, paraffin, propylene, PABA or DEA. How to use: Smooth onto damp hair, section by section, beginning at the root and work toward ends. Do not rinse. my hair is really frizzy could you send me a free sampke to try. I have waxy hair that either dries bushy or with a slight wave I have to use hair spray etc to hold the waves in tight but of course this makes my hair feel ‘rough’. I have been using this for a few months now. (Tub just finished and have order another one). 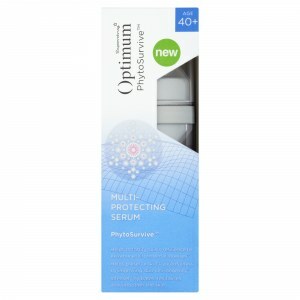 It is great it holds in my waves nice not to right not to loose, yet doesn’t look or feel like I have any product in. The waves last all day after washing. I am very impressed. 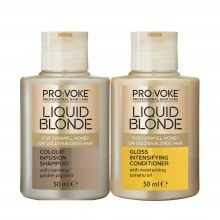 I really wanted to love this product but unfortunately it didn't really work with my hair type. I have naturally curly/wavy hair but this cream didn't really add anything. It left my hair feeling heavy and greasy and I felt like I wanted to wash my hair again after only a couple of hours. It smells amazing and the cream feels lovrly and soft but sadly it's not something I'd use again. Maybe if it was lighter it might work. Unfortunately this product didn’t agree with my hair type. 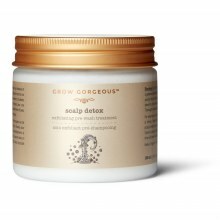 A little goes a long way and it smells divine, but it left my hair feeling very heavy and within a few hours it looked and felt greasy. I have thick course hair and thought this would have worked well for me, so it’s a shame that it didn’t work for me. The tub is really big so it's going to last for ages. It would be really useful to put on the instructions how much of the product to use because at first I used way too much and my hair ended up greasy. I think Ive got the hang of it now. The smell is gorgeous! 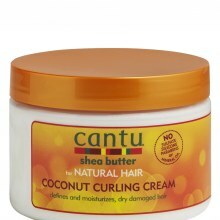 It defines my curls really well and eliminates the frizz.